Friends of Georgica Pond (FOGP) is pleased to report that the East Hampton Town Board voted unanimously to approve the acquisition of a 1.2-acre tract of land in the Wainscott Business District. 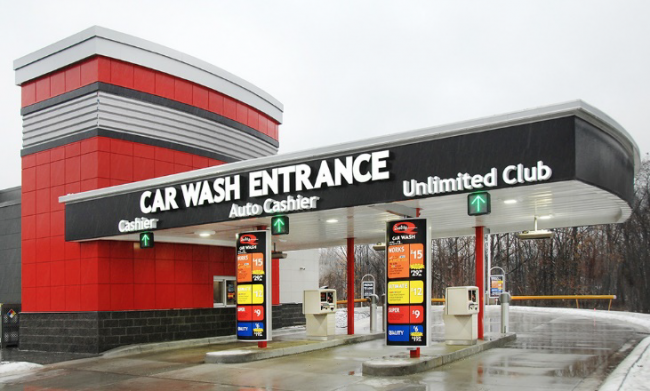 With the help of private funds raised by FOGP, the Town of East Hampton will be able to prevent the commercial development of a car wash in the Georgica Pond watershed. 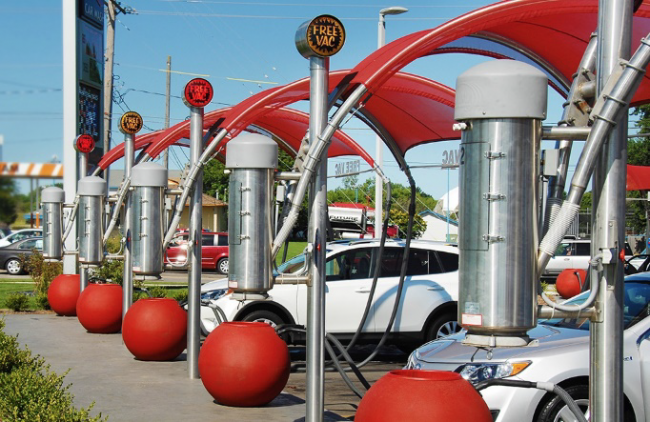 The parcel was the site of a controversial proposal for a high-volume car wash that would have processed 60 vehicles per hour and include 15 vacuum stations, an 18-car queueing lane and egress and ingress off Montauk Highway. According to the East Hampton Town planning department, the project would have resulted in a “change to existing transportation systems by creating a traffic increase that may exceed the capacity of the existing road network.” Of great concern to FOGP was the cleaning, degreasing and other chemicals required for the project and their potential to contaminate the groundwater and enter Georgica Pond. 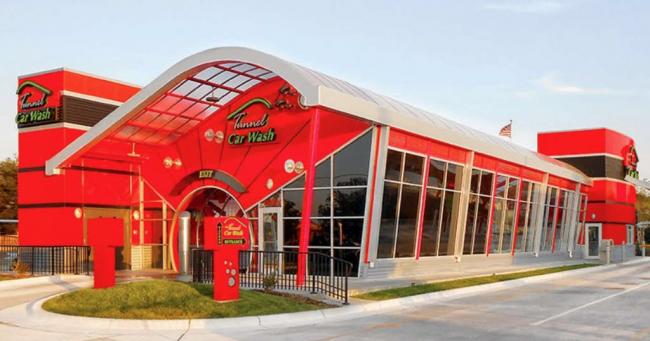 FOGP together with local citizens, spoke out against the car wash proposal during the planning board hearings. This public outcry focused attention on the many concerns of developing this parcel for commercial development. The property was once a nightclub known as the Swamp and more recently the Star Room. Today it sits in a derelict state, and public acquisition for open space will restore and beautify the property. Funds for the $2.1 million purchase of the property will be allocated from the Town’s Community Preservation Fund (CPF) with $300,000 of the purchase price provided by FOGP, thanks to several very generous donors. This deal with the sellers is still subject to approval by the bank which holds a $2.5 million mortgage on it. Once this last hurdle is met, the Town can close on the property, raze the dilapidated structure and manage the property as open space. We look forward to keeping you informed on the progress of this project. The legacy of industrial activity in the Georgica Pond watershed and its consequences was brought home recently when the Suffolk County Health Department announced that contamination by PFC compounds (perfluorinated chemicals) were found in private wells in Wainscott in excess of the EPA’s acceptable levels for lifetime exposure to avoid adverse effects. According to the East Hampton Star “These compounds are used in firefighting foams and other materials, and in the aerospace, automotive, construction and electronics industries because of their friction-reducing properties.” A large area (see map below) has been designated for testing of all homes with private wells. 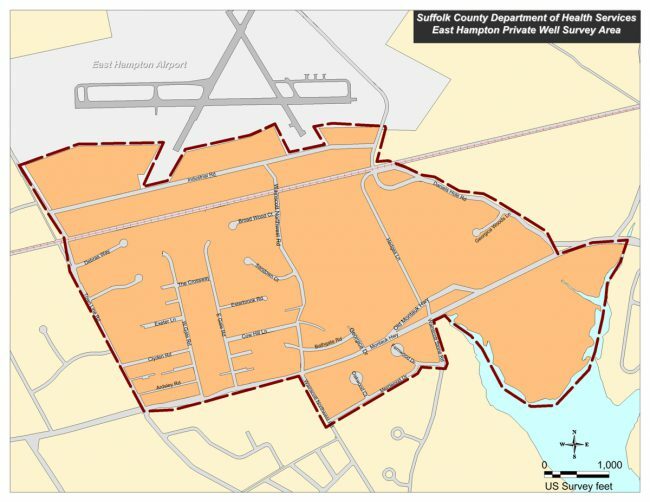 If you live in this area and have not done so already, please call the Suffolk County Health Department, Department of Water Resources 631–852–5810 to arrange to have your well tested. The testing will be free of charge and the Town of East Hampton is providing free bottled water to anyone with a private well in the testing area (call 631–324–4183 or email jcarroza@ehamptonny.gov). Once the testing is completed, the source of the contaminant can be better identified and the appropriate plan of action developed which could include hooking up the affected residents to the Suffolk County Water Authority’s public water.